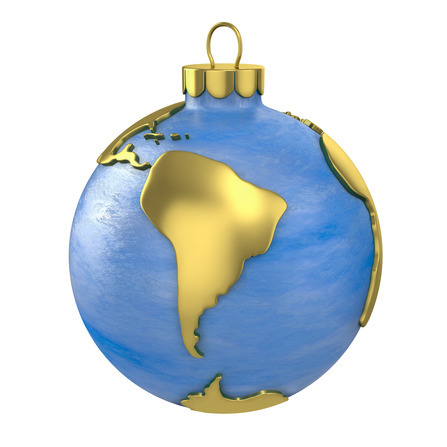 Happy Holidays to everyone from Boutique South America. We hope your holiday season will be a great one – filled with love, relaxation and enjoyment around your family and friends. And to start your next year that little bit better, we’re offering a wonderful gift towards your travel plans. Because there is no better time to head to South American than 2016! Get a US$50 South American Travel Voucher Toward Your 2016 Vacation! This deal is simple: claim your US$50 savings offer before 5:00 PM on Christmas Eve. Why Christmas Eve? Because that is when people throughout the continent will kick of their Christmas celebrations. You then have until June 30 2016 to apply your credit to any Boutique South America booking. Can’t travel in the first six months of the year? That’s ok. You can start your travel on any date in 2016 (right up until the 31 December), it just has to be booked by the end of June to activate the savings. It’s really that simple to save some money on your amazing travel experience. You can use the U$50 Travel Voucher across any of Boutique South America’s great travel packages. You can also use it towards excellent discovery programs in unique destinations as part of our BIY (Build it Yourself) range or even a Custom Travel Package where you can design your own vacation for a truly individual adventure perfectly-suited for your taste and style. Give the Gift of Savings to a Friend! Already been to South America? Why not share the Christmas Cheer and the amazing continent by telling your friends and family about this great promotion? You’ve probably already been telling them how great your holiday to South America was, now you can give them an opportunity to towards realising their own adventure in their own way. Flexible Booking All the Way Up to 30 June 2016! Best of all, you have time to use this travel voucher. We don’t want to rush you into any old trip or tour, so you’ll have until the 30th of June 2016 to plan the perfect trip and find the best way to explore South America for you. And as you can apply the savings for trips starting up until the end of 2016, you have ample time and freedom to schedule a South American adventure into your calendar. Just remember – you have to sign up right now to receive your US$50 Travel Gift! Our Christmas offer is only available until 5:00 PM Christmas Eve! Act Now! Offer Expires 5:00 PM Christmas Eve! So if you’ve ever dreamed of travelling to anywhere in South America, you could cross this off your bucket list with a little extra help to get you on your way. All you have to do is register to receive this bonus to save on your own amazing South American escape. Get your $50 travel voucher before it’s too late! The promotion will end at 5:00 PM on Christmas Eve – the same time that South Americans will start celebrating their Christmas Holiday. Simply fill out the form below to get your $50 voucher today. Get your Christmas Gift from Boutique South America NOW! Inside Alto Atacama hotel, the luxury resort and spa in the world’s driest desert, San Pedro de Atacama in Chile. With more than 30 different Atacama Desert tours available to explore this enthralling arid region, it can be hard to choose but here are 5 of the best. The Atacama Desert is more than 100,000 km plateau and an expansive collection of awe-inspiring natural phenonomena that make it a photographer’s paradise. Save up to US$750 off the ultimate desert experience with great new promo rates for five star Alto Atacama Hotel for 2017. What LATAM’s New Direct Flights To Santiago From Melbourne Mean For Australian Travellers. What do you do when you’ve outgrown the group tour thing but want to visit somewhere as big and diverse as South America? Read on to find out.